The iconic crown worn by Queen Elizabeth II is recreated into cross stitch. 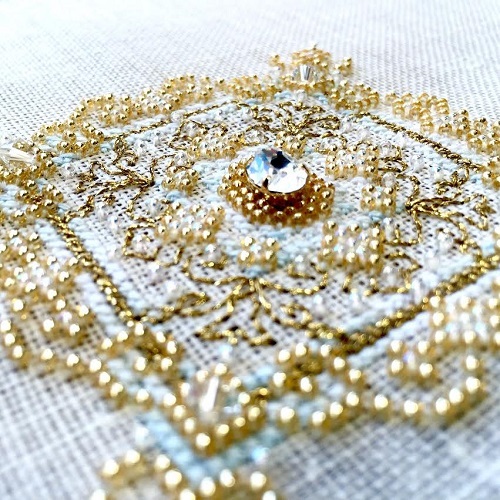 Swarovski crystal beads, seed beads and Kreinik imitate the gold and jewel encrusted crown. Create your own piece of British Monarchy history with this stunning design. *Embellishment packs are available for $20USD. Please contact me to place an order for the beads.